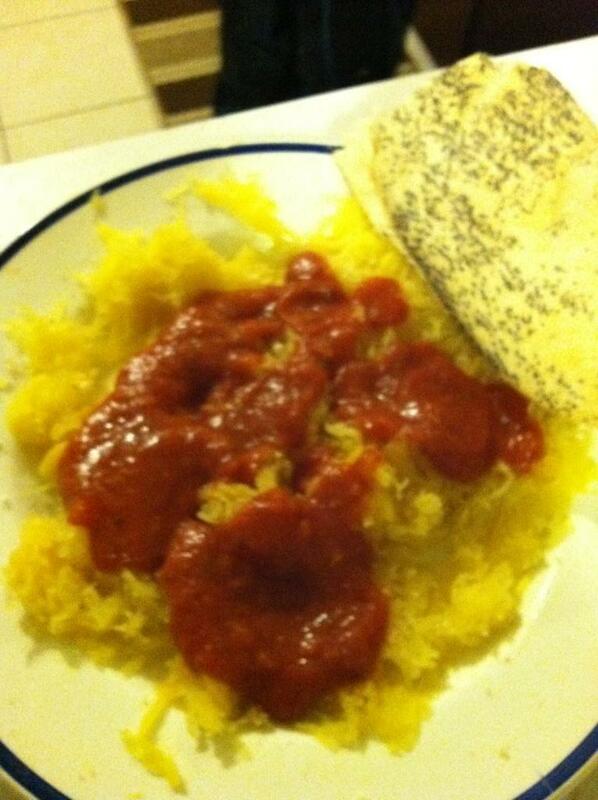 I found out about this spaghetti squash recipe from Hungry Girl a long time ago. 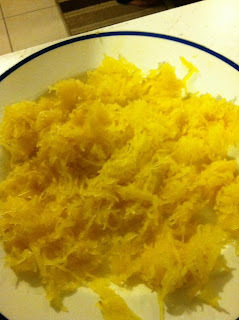 I am a huge fan of squash, so I have no idea why it took me so long to try it, other than I never really see it in the stores. I found one at Kroger, and have yet to see another one. That really bums me out because it turned out so well (ohhhhh the excitement) that I wanted to buy more to test some other recipes! 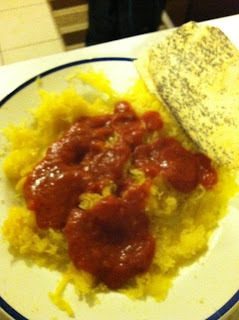 This squash cost me about $3, the sauce was Kroger Value brand – in the can, 85 cents. You can pick any flavor you like. For this recipe I just used traditional. The bread was on the quick sale for 49 cents. We had 4 meals out of it all. Dinner and lunch for me, dinner and late snack for Big M.
PPV for the Squash is 0, the plain sauce was about 1 or 2 PPV for 1/2c (sorry I forgot!) and the bread was about 3 PPV for a small piece and I use butter spray. « Apples, Apples, and Apples….Oh My! That is a cheap meal right there!!! 🙂 Not to mention that is looks good too! It is actually pretty good. It's a good replacement for a pasta and meat free meal if you are trying to find other alternatives! 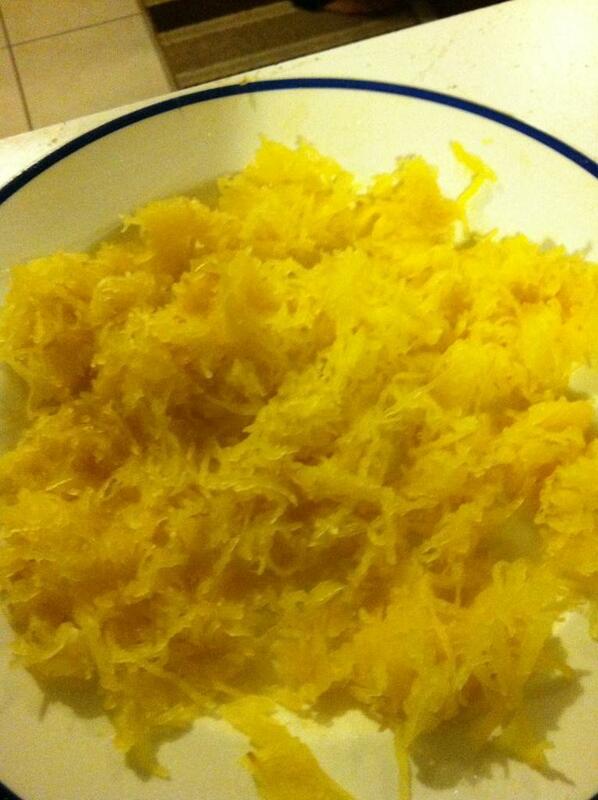 I could never do anything with spaghetti squash! It never turned out well and never worked like or had the texture of pasta. I prefer vegetables over pretty much anything. Except for cheese. I just can’t give up my cheese.